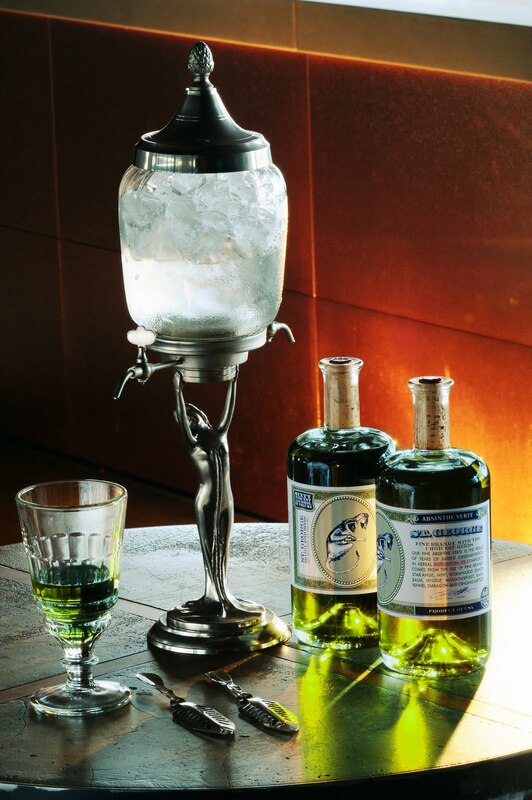 Hands down my favorite all around Absinthe. I don't know if it's the different herbs used than with other Absinthe's, but this drink is a thing of beauty. It's warm yet cooling, with a little spice/bite, but without the heavy licorice flavor. It's still there, but not as strong and Good and Plenty-esque as some other Absinthe brands. I've found with all the other Absinthe's I've tried it was either sickly licoricey, or licorice and with a bitter aftertaste, or just a faint licorice/peppermint flavor - like watered down Scope. St. George Absinthe Verte has a whole other level flavor. It's a glass of nothing but goodness. Maybe it's because the base spirit is brandy and I'm a brown liquor kind of guy (whiskey/bourbon, aged rum, cognac/brandy). 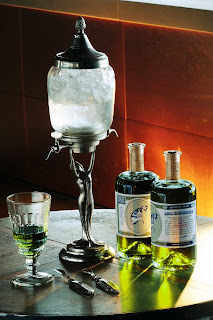 I have no idea, but what I do know is that I now have a go to Absinthe and after testing the waters (5 brands down - Lucid, Pacifique, Sirene, Kubler, Vieux Carre) I'm pretty much done searching. I'm so sad it took me so long to get to try St. George. 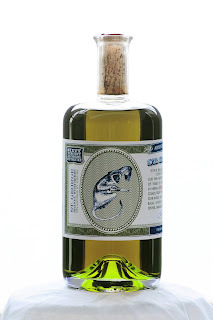 From now on I won't be chasing the green fairy, I'll be following the Monkey! Get more info. from the official website. Hemingway may have had Sloppy Joe's in Key West and La Bodeguita del Medio and La Floridita in Havana, but I've got him beat because I've got the Zig Zag Café when I'm in Seattle. This is the bar I've always been looking for. An old school vibe, comfortable, dimly lit, yet classy at the same time. I loved this place so much that I went every night I could, six nights in a row. Erik and Ben are not just amazing "mixologists", but the best of old school bartenders. I can't explain it, but think about every fantasy you had about going to a bar and meeting the best bartender ever, and you'd know how I feel. Sort of felt like I went through some alternate universe where the cocktail culture of the roaring 20's never ended. Kind of like a cocktail version of Steampunk, if that makes any sense to you. 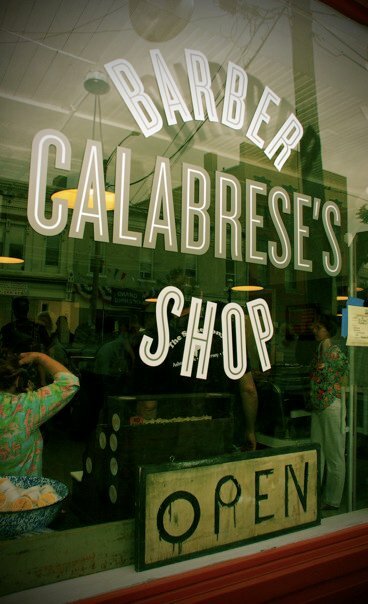 Read my entire review (and follow me) on Yelp here. A new tattoo documentary series featuring a series of interviews/profiles of what they're calling "the most interesting and sought-after [tattoo] artists in the world." It debuts July 13, 2011 on VBS.TV with a profile of a buddy of mine, Dan Santoro. Although I don't have any tattoos by Dan (yet? ), he's a legit artist of all sorts (needle, spray paint, acrylics, etc.) and it's good to see him getting recognized for his talents. If you like what you see, book an appointment with him at Smith Street Tattoo at (718) 643-0463. You won't be disappointed. 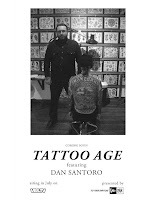 Tattoo Age is the new series that takes an inside look at the craft of tattooing through a series of profiles on some of the most interesting and sought-after artists in the world. 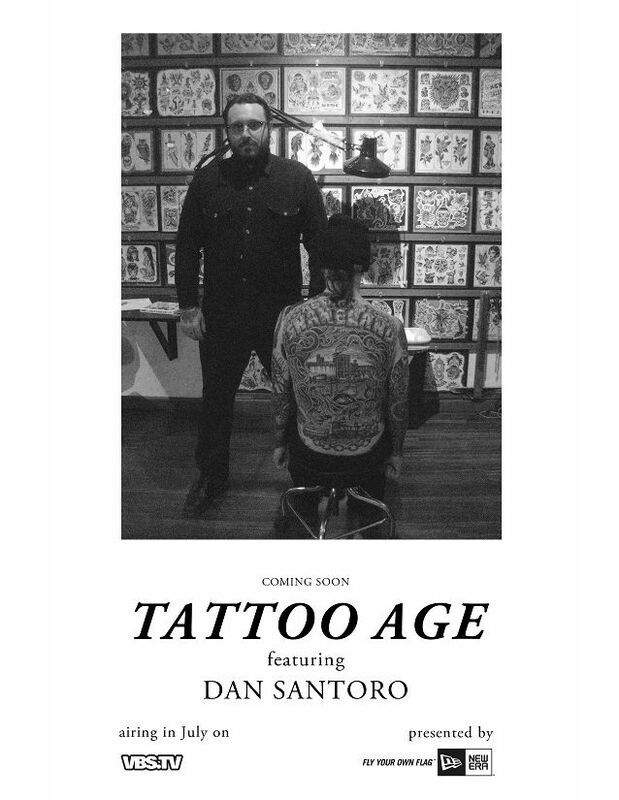 The series kicks off on July 13th with Dan Santoro, and new episodes featuring such artists as Troy Denning, Mike Rubendall, Freddy Corbin, and Grime will air through November.